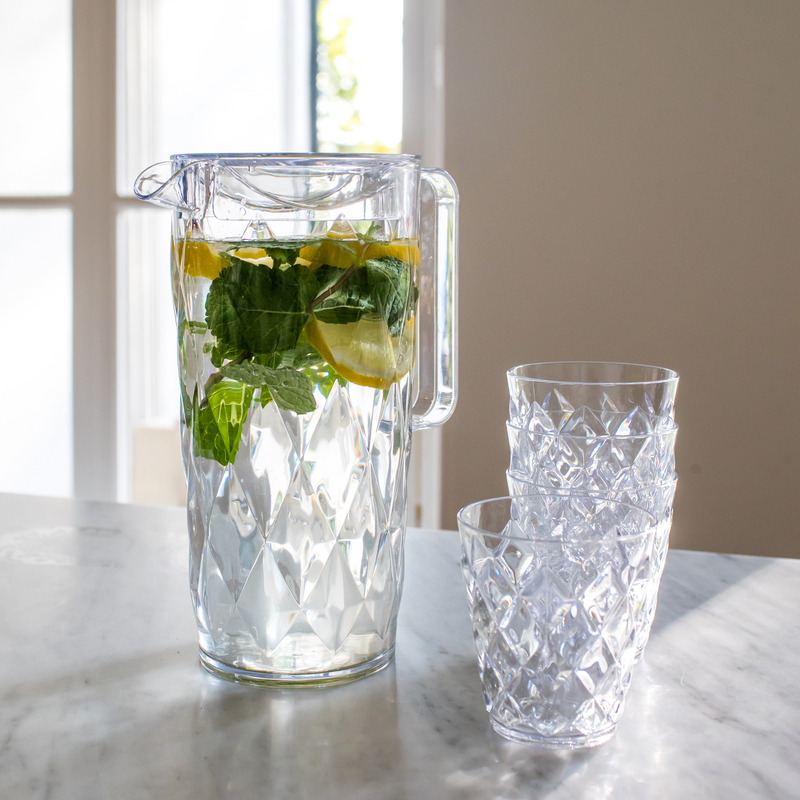 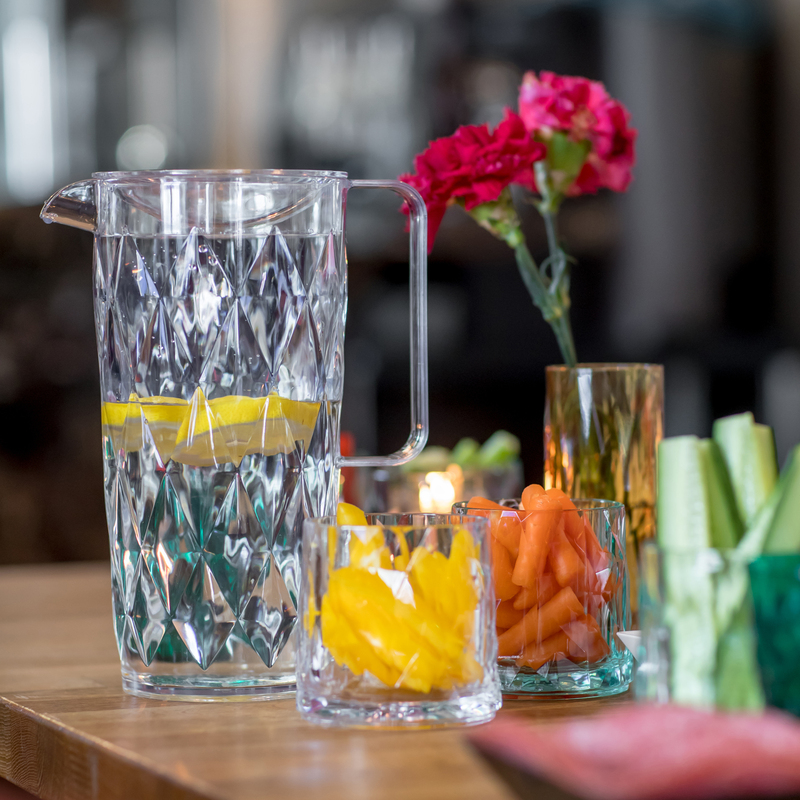 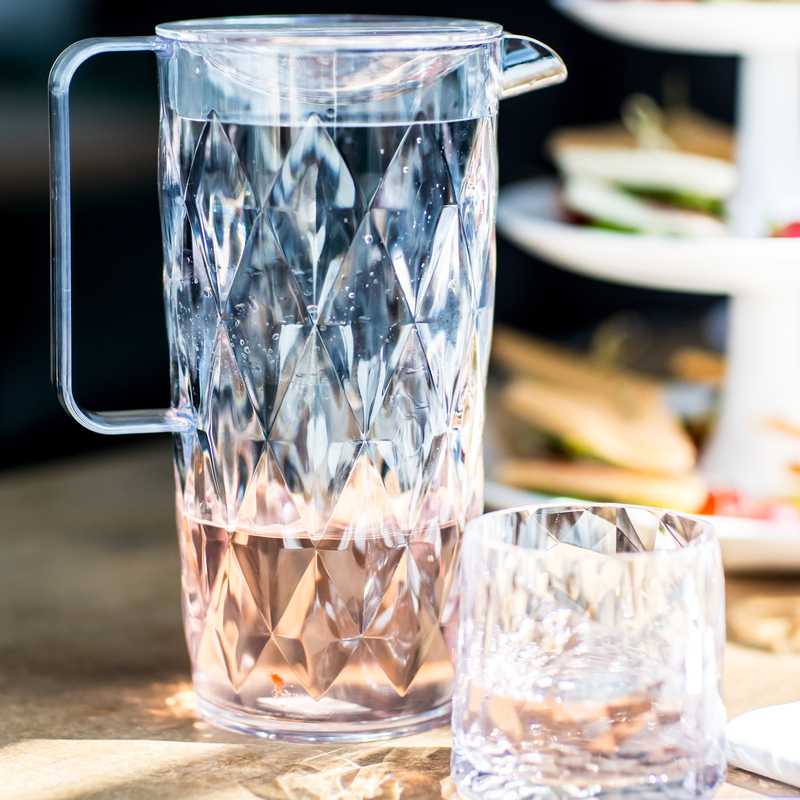 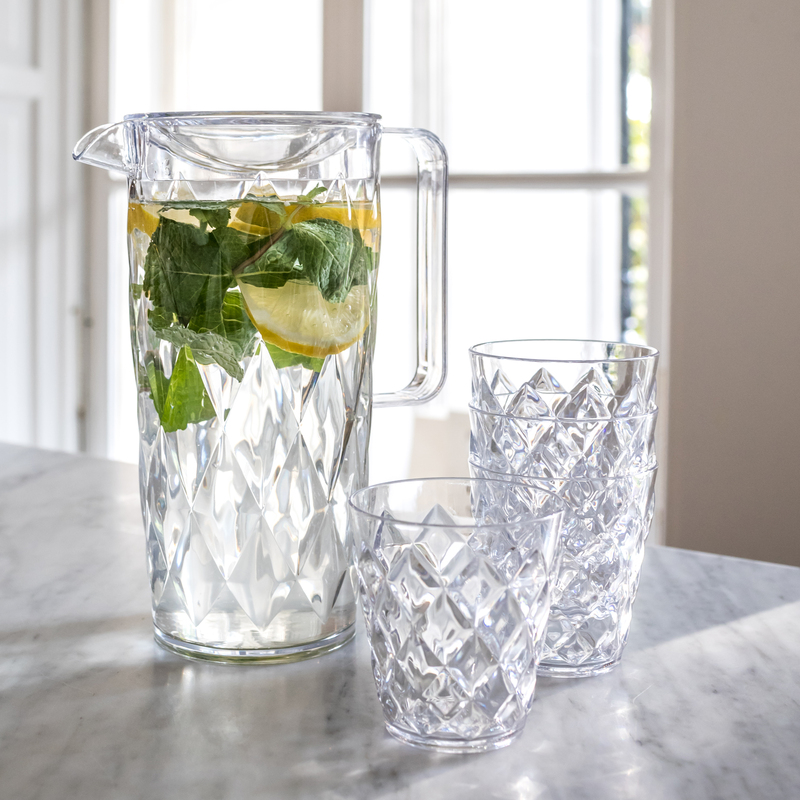 CRYSTAL - pitcher, just made for iced tea, lemonade, fruit juices and refreshing cider. 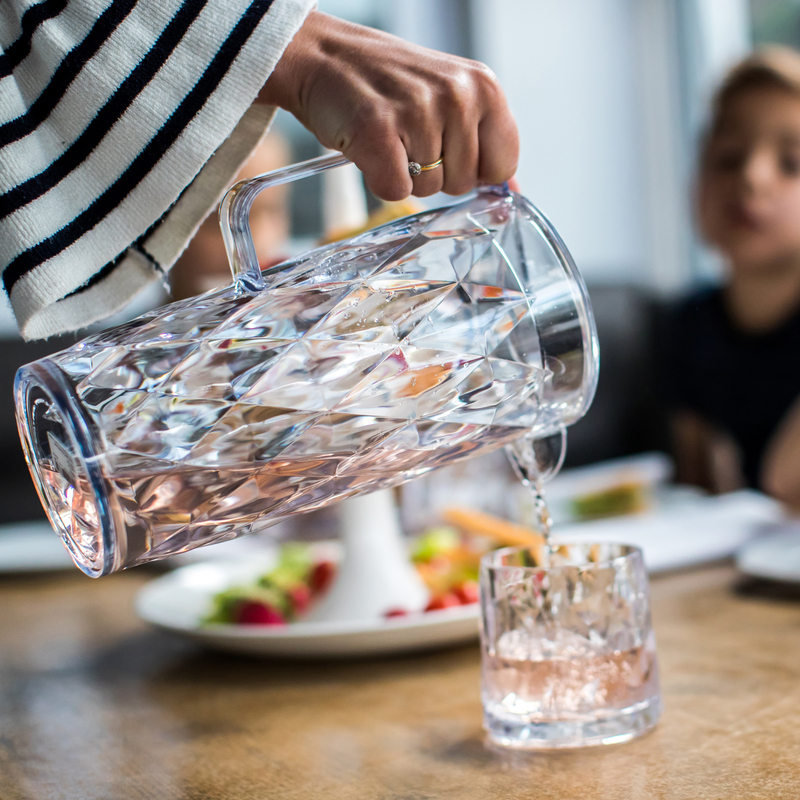 Richly facetted surfaces turn these glasses with their matching pitcher into a sparkling set of jewels, catching the eye and intriguing the hand. 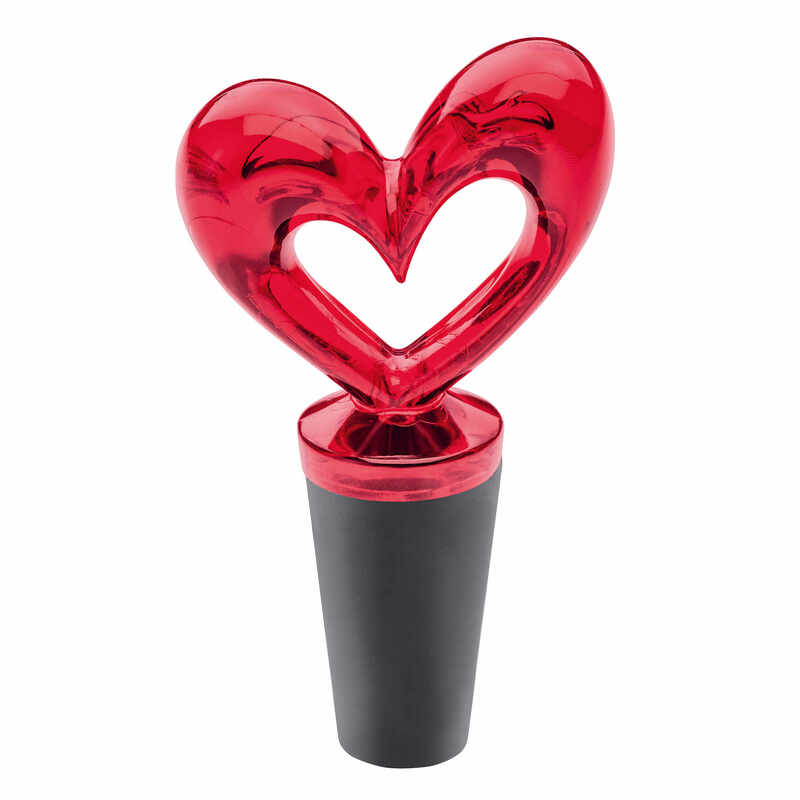 What is more, they will insulate both cold and hot drinks. 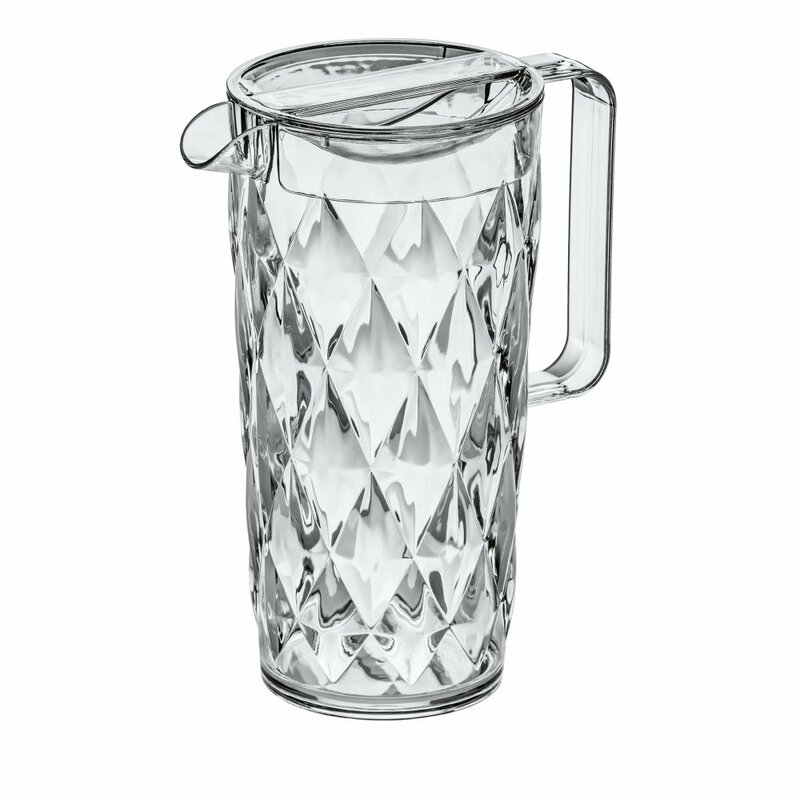 The surface was inspired by the look of hand-polished glass and translated in a contemporary material. 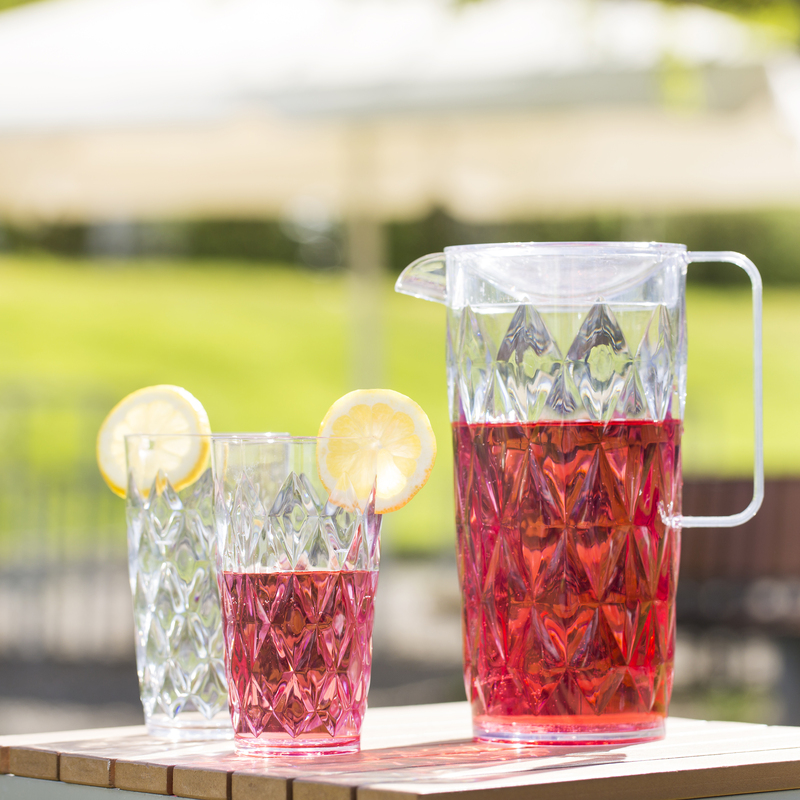 Just made for iced tea, lemonade, fruit juices and refreshing cider.